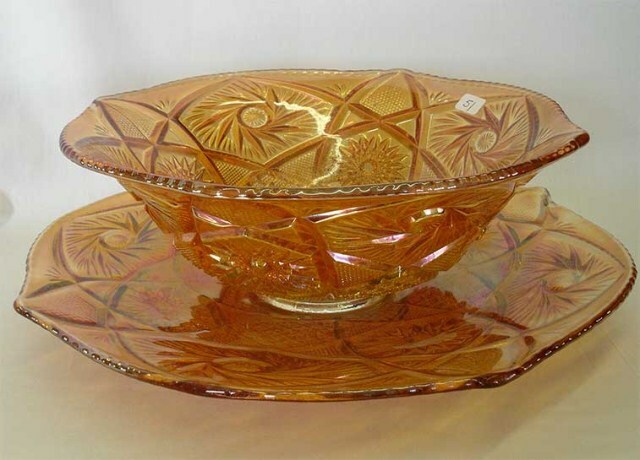 The US Glass version of Whirling Star is about 11 inches wide and 8 to 9 inches high. 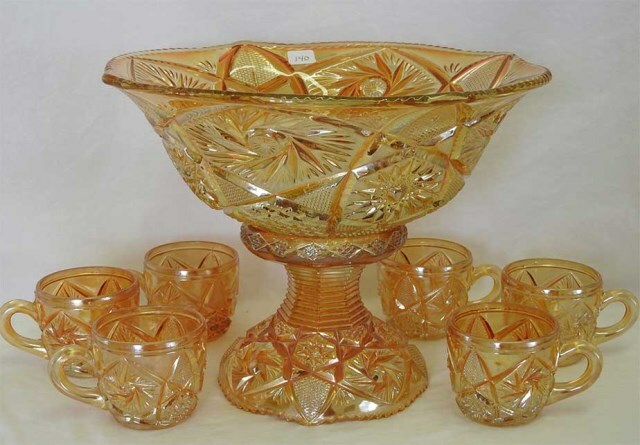 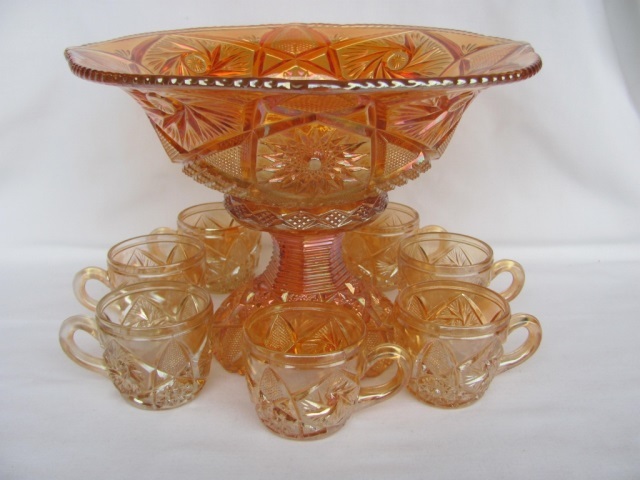 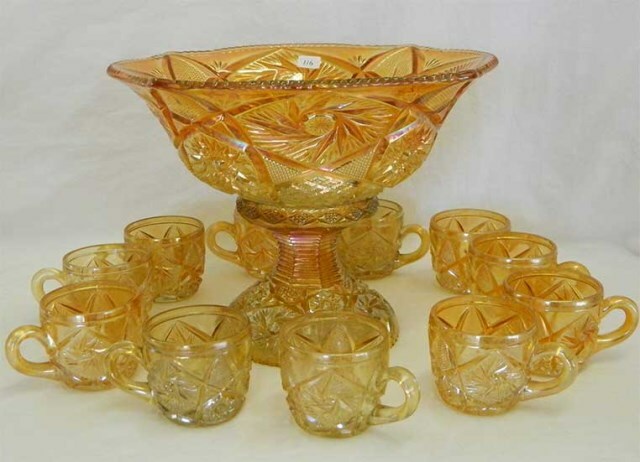 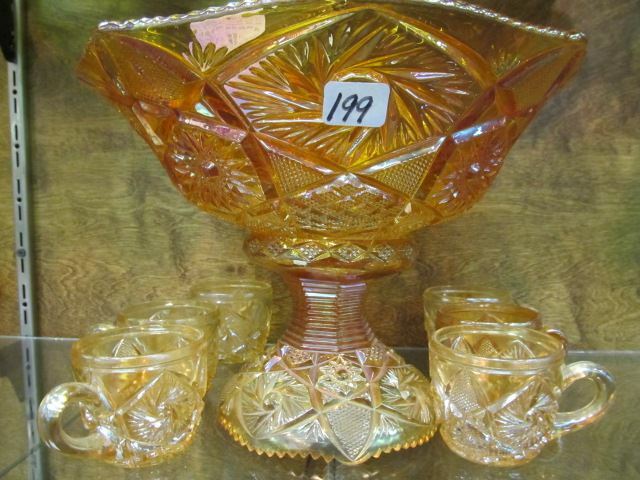 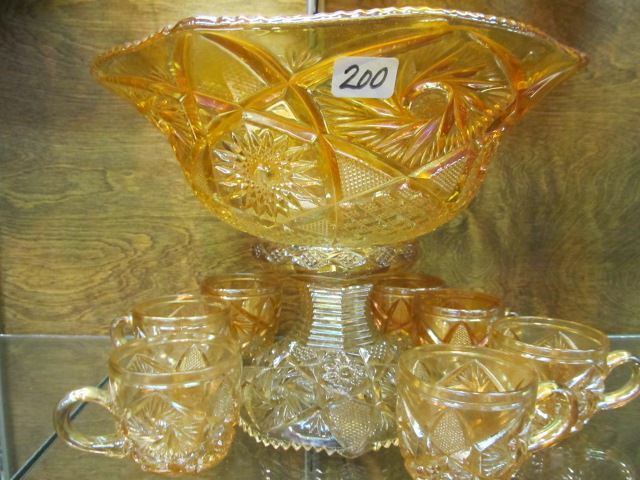 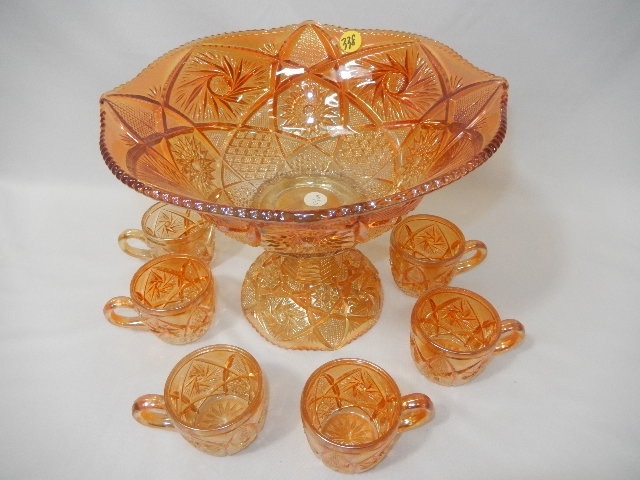 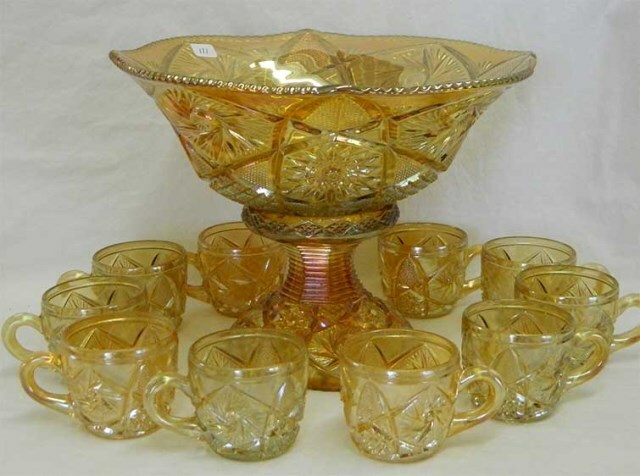 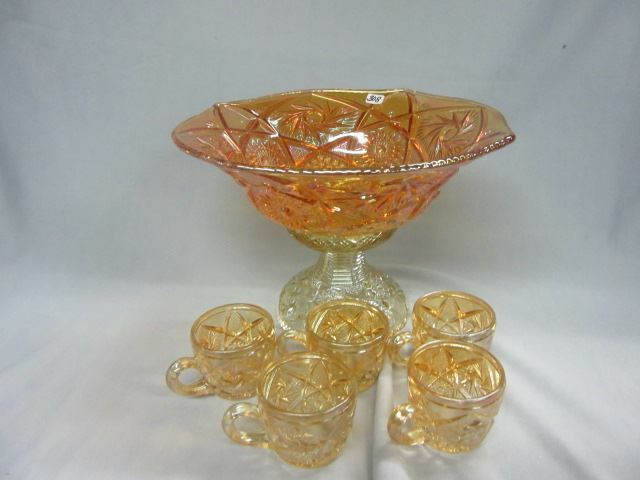 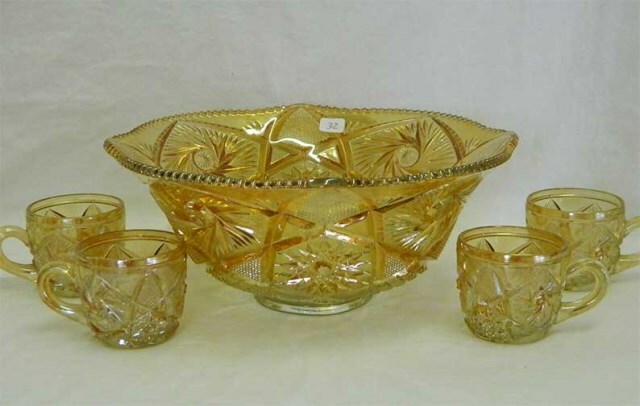 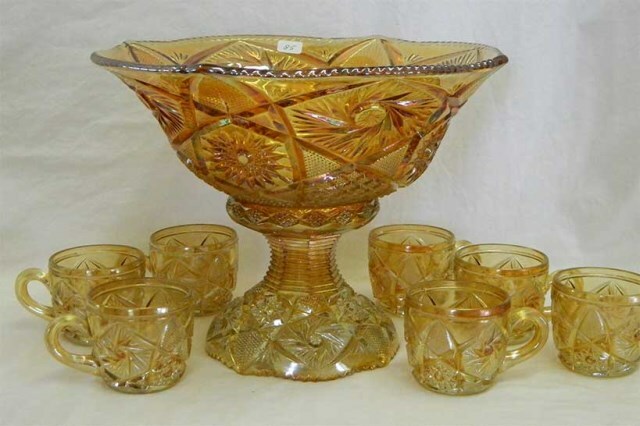 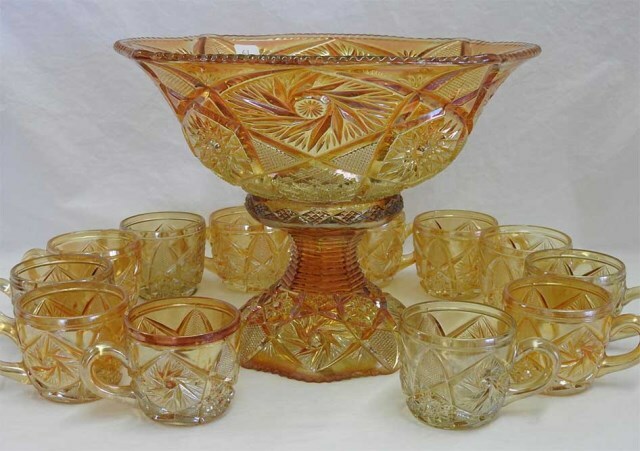 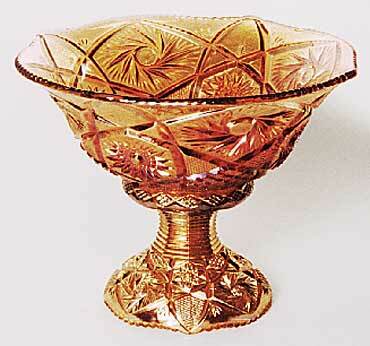 A punch bowl, base, and 3 cups sold in 1999 for $100. 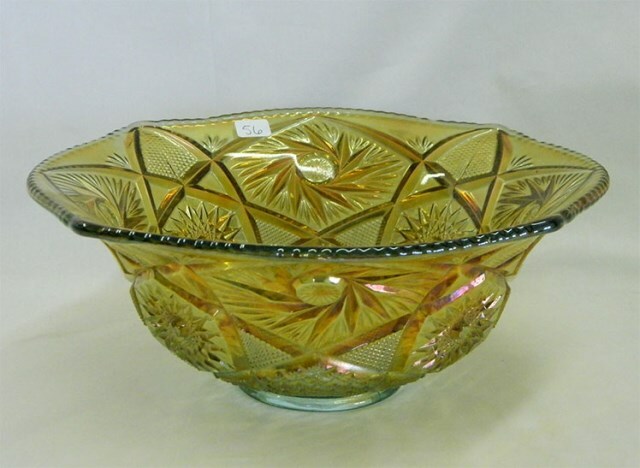 See also Imperial's Whirling Star.